Do we Need a New Light Bulb? I have been an environmentalist for a long time. I do my best to be green. I recycle religiously. I cringe when I see wasteful persons and yes, I might be that person you have seen taking a recyclable item back out of the trash. I make sure never to allow fertilizers to leave the lawn and when needed am careful about its application and run off potential. We mow into the lawn, not onto the street. Well, you get the picture. I have slowly filled the house with flourescent bulbs only to find that in general we don’t like them. They are slow to brighten, sometimes are too white, or have a fake yellow hue. The biggest bummer is that sometimes they do not last nearly as long as the packaging had claimed. Did you know these are hazardous and cannot be tossed into the trash when done? They need to be recycled in a safe way. All this said, I just am unclear how I feel about these new LED lightbulb‘s that have come out. They are supposed to last 25 years! That’s a long time. They also have a rather large price tag at about $25.00 a piece. I just bought a 4 pack of regular old 40 watt bulbs for a buck at Christmas time so its going to be a bit of a tough sell to give these a try when the budget has so many other options to be spent. On the upside these new bulbs promise to ony cost $1.63 a day when used 3 hours per day over the 25 year stand. 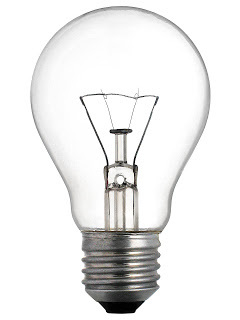 Where do you sit on the great light bulb debate. Will you be giving the LED a try, sticking with flourescents or crying over the soon to be lost low cost incandescent? Posted in Going Green Minnesota, Home Improvement, Home Safety, Random/Misc. Now is the time year that we all open up our boxes and bins in search of our holiday cheer. I cannot help but to think about that mass clump of lights that Clark Griswald of Christmas Vacation pulls from a box. He hands this huge knotted clump of lights over to his son Russ and says something like, “a little knot there”, when it could not have been a more impossible task to untangle. I too have seen these knots no matter how carefully we put them away, and no matter what method we use or have tried. We still seem to not be able to find the end or untangle the set. The other major issue is that you can have a perfectly working string when you put them away, but by the next season when you gingerly pull them out, they have decided to work only partially or not at all. Now what to do with that non working string? Most of us have tossed these into our trash cans and they go to the landfill and fill up our land with what can now be recycled. 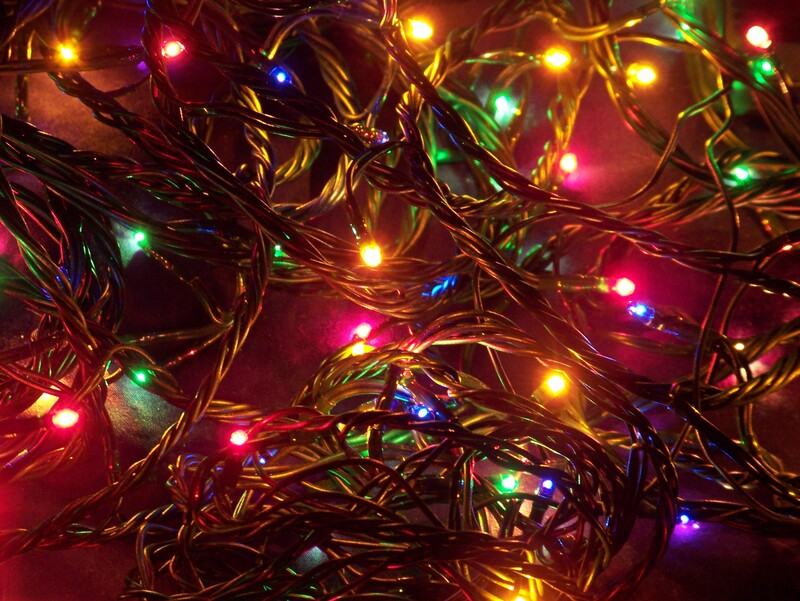 All participating Ace Hardware stores are taking holiday light strings beginning on the 15th of November. The Recycling Association of MN (RAM) is starting its 3rd season of recycling and will continue until the end of the holiday season. Did you know that they can recycle every part of a light string? They recycle the lights, the string, the plug ins, everything! Last year they met their goal and this year are hoping to recycle 200,000 light strands. Obviously this is making a difference to the landfills, but it is also allowing us to reuse these materials and also to create employment to the workers who are paid to take these strings apart, to those who recycle the product and to those that turn these pieces into new items. If you don’t have a local Ace Hardware such as Forest Lake and Wyoming Minnesota, you can go to www.RecycleMinnesota.org. for an interactive map that can guide you to a recycle center near you. Last year there were 400 locations taking part in this effort and this number will grow as the season goes on. After you recycle your old strings, consider purchasing the new higher efficiency LED lights. “According to the Department of Energy, running LED holiday lights on one 6-foot tree for 12 hours per day for 40 days can save 90% or more energy when compared to traditional incandescent holiday lights”. In ending I wanted to share that they also recycle any type of electrical cord such as telephone, speaker and damaged extension cords. Make a trip to your local ACE hardware store with your old knot today! It will feel good! Are you excited to decorate for the holidays? Please share! Drop off your old strings at ACE Hardware! Posted in Community Information, Going Green Minnesota, Home Improvement, Landscaping Ideas, Random/Misc.